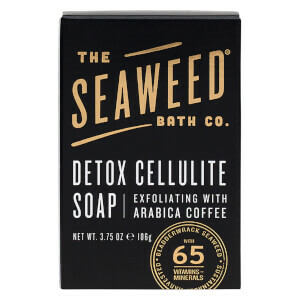 Purify and refresh with The Seaweed Bath Co. Detox Cellulite Bar Soap; a cleansing formula that works to nourish, hydrate and clarify skin from top to toe. 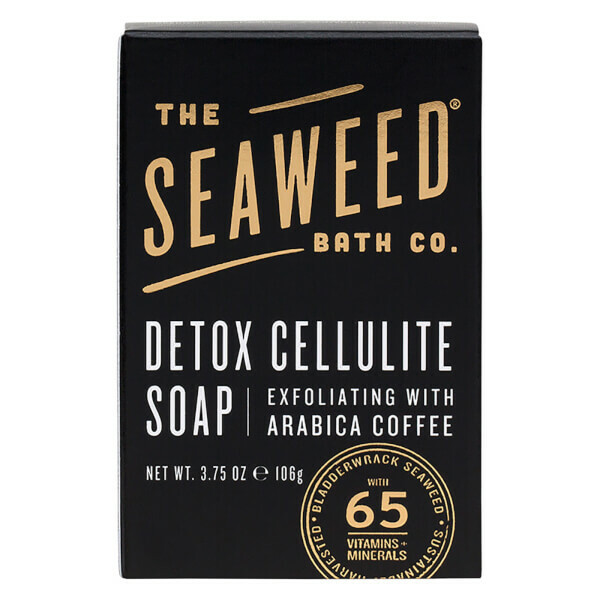 Harnessing the powers of Coconut Oil and organic, sustainably-harvested Bladderwrack Seaweed (rich in vitamins, minerals and amino acids), the soap helps to strengthen and protect skin, whilst Arabica Coffee gently improves microcirculation to minimise the appearance of cellulite. The body is smooth, soft and refined with an even tone and texture. Use daily or as needed to cleanse, moisturise and exfoliate skin. Sodium Palmate, Sodium Palm Kernelate, Aqua (Water), Glycerin, Coffee Arabica (Coffee) Bean, Organic Cocos Nucifera (Coconut) Oil, Organic Fucus Vesiculosus (Bladderwrack Seaweed), Cinnamomum Zeylanicum (Cinnamon) Bark Powder, Aleurites Moluccanus (Kukui) Oil, Helianthus Annuus (Sunflower) Seed Oil, Sodium Gluconate, Charcoal Powder.